We have packed nearly all equipment this weekend. Operation will be between Feb. 23 and March 3 on 144, 432 and 1296 MHz. The total trip will take about 30 hours from our home’s to the TD-QTH ! Other info can be found on this MMM on VHF website. We might not be QRV all (full) moon passes ! 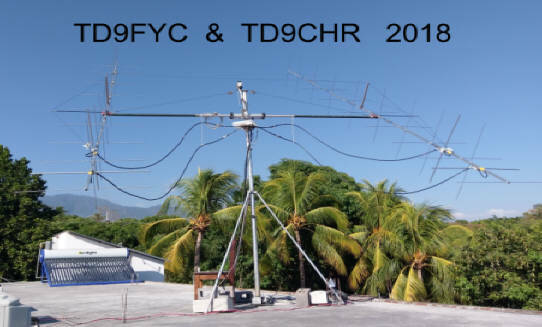 Log update until 25/2: TD9FYC 144 MHz. our screen and noise increases by 4 to 11 dB. Gratulacje za qso na 23 cm dla SP5GDM oraz SP3XBO! Gratulacje za qso na 2 m dla SP4KM, SP4K, SP2FH, SP8NR! You can also find some pictures here. long as stations are calling. during this moonpass until Moonset. VK / JA / ZL stations: Try to work us during this moonpass !! On March 5 : The party is over, we have to pack and prepare for leaving. the rest of the moonpass. So a long time is left during EU window. 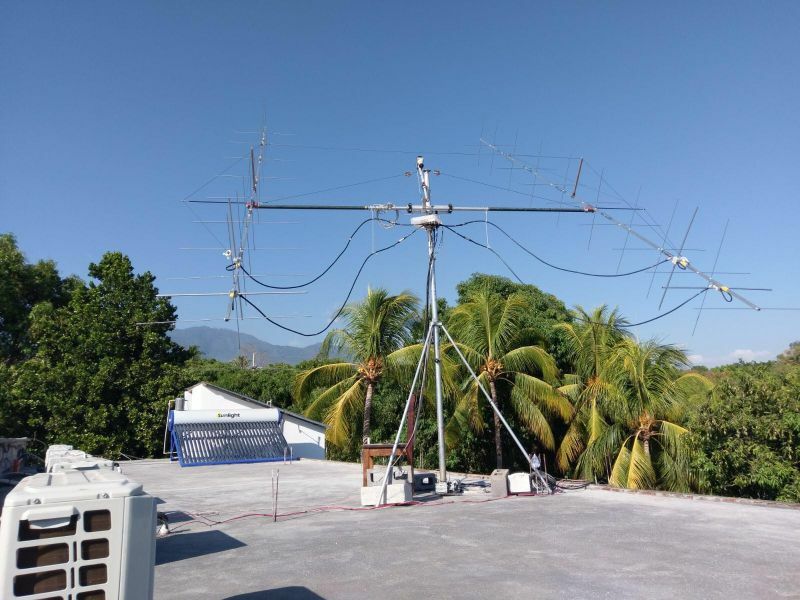 - 144 MHz: 261 QSO's, with 2 x 20el. X-pol. homemade (DK7ZB design) antennas, this is about what you can expect with the local QRM we had. - 1296 MHz: 47 QSO's, twice the amount we expected ! with just the 67el. yagi.